The Perfect Solution For Your Personal Accessories! The Spa Caddy is the perfect tub-side companion that acts as a placeholder for important items as you soak in complete serenity. The tray is constructed with an aluminum post that holds the reinforced resin polymer tray in place. For added convenience, swivel the tray towards you to get a hold of your drink or make a quick text, then swivel it back outside of the hot tub once you’re done. The composite mounting bracket makes for easy installation on almost any spa. 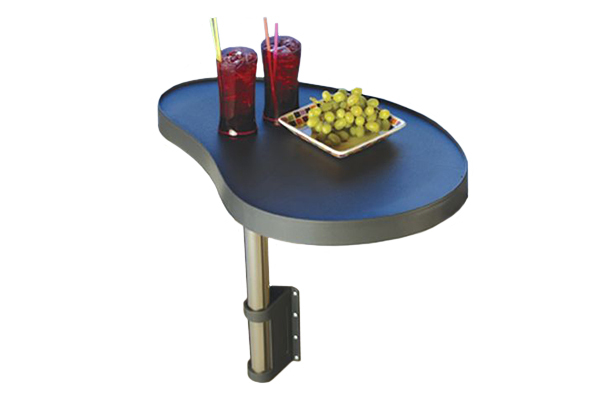 The Spa Caddy measures 27” long, and 19” wide to provide just enough snack and drink space for you and your guests.